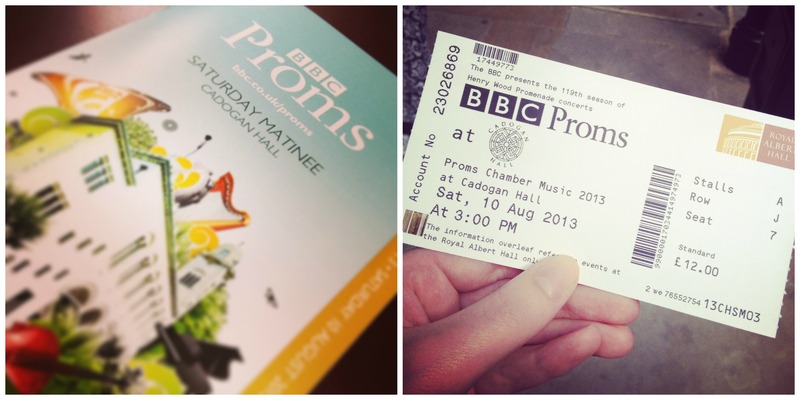 My parent’s came to London for a weekend visit recently and on the Saturday afternoon, we had tickets to see a Prom at Cadogan Hall in Chelsea. Being East Londoners and not knowing this part of London very well, I had to do a little research to find somewhere delicious for a pre-Prom lunch (which we had after a mooch around a very busy Portobello Market). 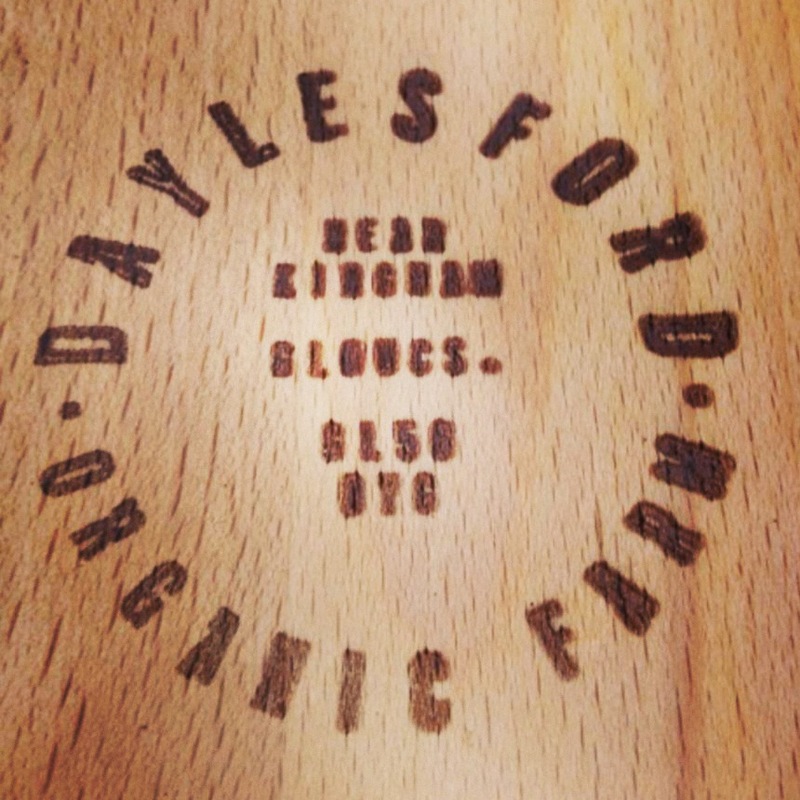 Daylesford Organic seemed the perfect option. The original farm is based in Gloucestershire, but they have a few farmshops dotted around the more afluent parts of London. We went for the one on Pimlico Road, just around the corner from Sloane Square. We headed upstairs and were met by a very friendly waiter and a mouthwatering menu. We were spoilt for choice. I had mushrooms on toast, topped with a delicious fried egg. 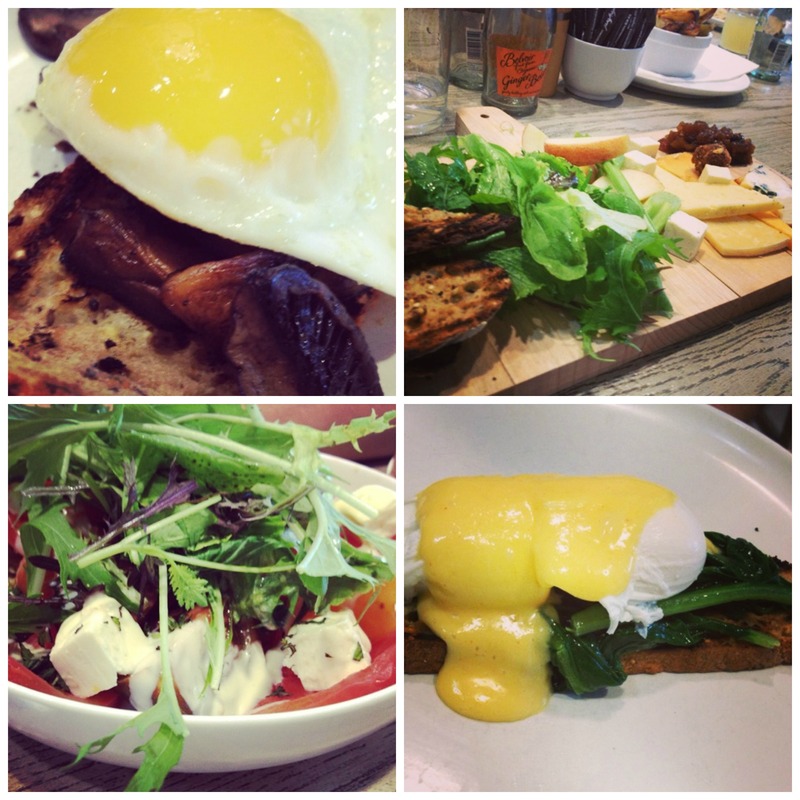 Alex (inevitably) went for the cheeseboard, Mum had a salad and Dad went for the Eggs Florentine. As you can see, they all looked stunning (and tasted equally good), made with an array of fresh ingredients from the farm shop downstairs. 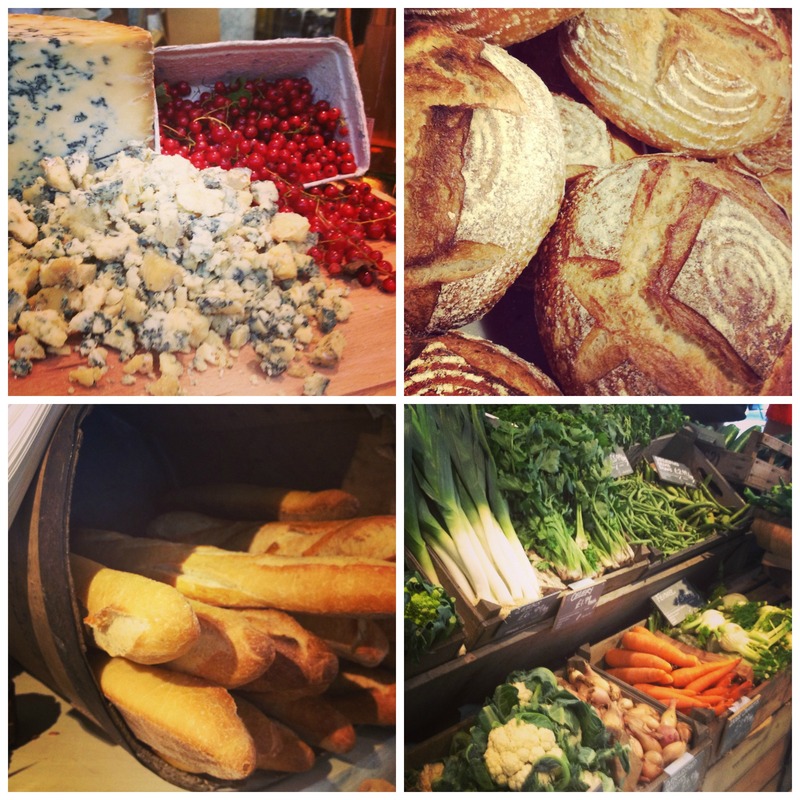 After our very satisfying lunch, we took some time to check out the farm shop downstairs (and sample yet more cheese). After that, it was time for the prom! Oh how very cultured we are. And Dad definitely did NOT fall asleep at any point.